The 2018 Southend Finals Night was held at the Hullbridge Sports Association on Tuesday 20th February 2018 and saw Tony Halling crowned Men’s Singles Champion and Linda Roff Ladies Singles Champion, with some 100 Members in attendance. 120 had entered the Championships and some 700 Matches were played. The Finals evening commenced with the Under 21s Semi Finals, which saw Sam Hume beat Harry Keys in straight Sets 7, 6 & 5 in the first Semi. This was a tough call for Harry against Essex No 1 Junior, Sam, but Harry, who is improving rapidly, played some great shots, whilst Sam continued his fine form this season with a very controlled game. The 2nd Semi saw the vastly improved Liam Squirrell prove too strong for Matt Stringer, Liam winning in straight Sets 7, 6 & 5. Although losing, Matt played some fine shots and there were many exciting rallies. But on this occasion Liam was too strong. Amazingly each Semi Final had identical scores 7, 6 & 5. Next was the Under 21s Level 2 Final. This event is for players in Division 3 and sees the newer players to our League. 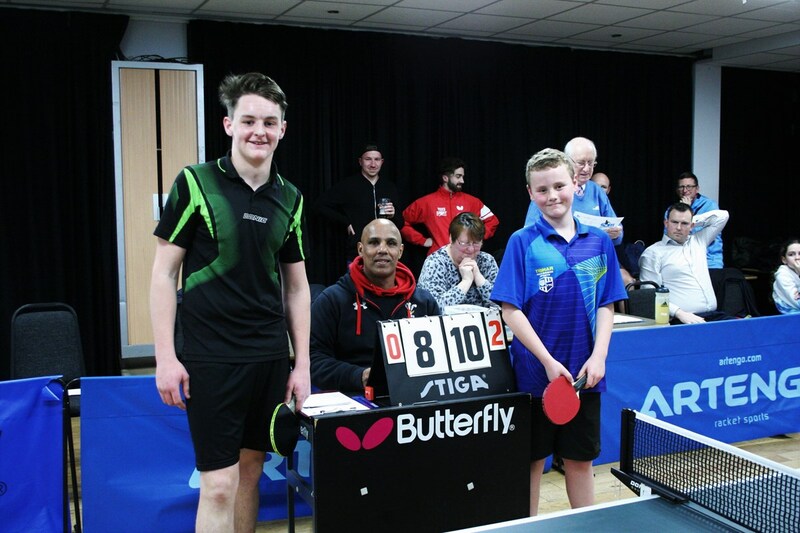 Our Junior Clubs have done a sterling job this Season: Hockley TTC, Rawreth Juniors TTC & Hullbridge Sports Association’s Table Tennis Section. 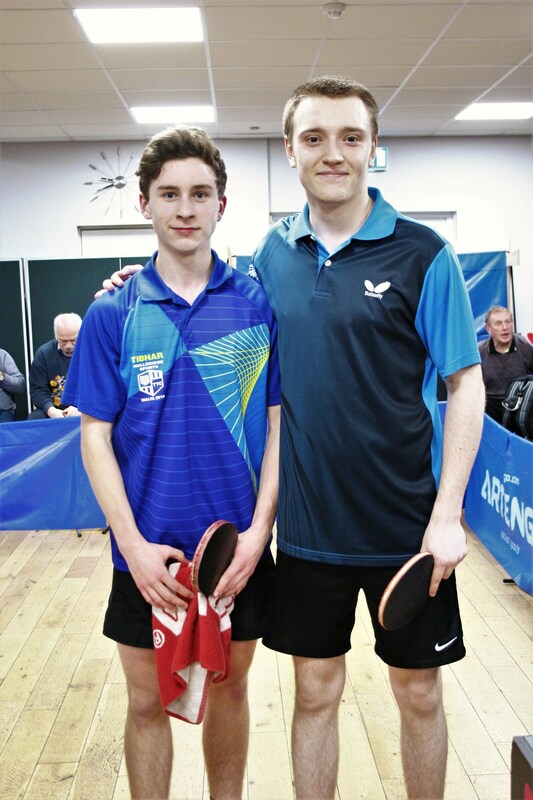 In the Final, we weren’t disappointed and we saw an exciting match where Joe Buscombe of Hullbridge beat Bradley Nunn of Rawreth in straight sets 14-12, 16-14, 11-5; this was a very close contest and currently all looks good for the future of juniors in our area. Our congratulations to our Junior Clubs, their Coaches and their Parents. There is a growing connection with our local Schools from all 3 Clubs. With Paul Smith of Earls Hall Junior School coming down to support his pupil, Joe, who is part of their Schools Team that has played in the English Schools Table Tennis Competition, in which they are through to this Season’s National Finals. The Men’s Semi Finals followed which saw, former England International at Junior, Senior, Over 40s and Over 50s, Stuart Gibbs take on the current Essex No 1 Tony Halling. Stuart had played superbly in earlier rounds, with wins over the current Chelmsford Champion Duncan Taylor and the highly ranked Minda Sinkus, but Tony was always likely to be too tough an opponent. Having said that, Stuart had us on our seat’s edge as he took the first Set 12-10. But then Tony moved into a higher gear taking the next 3 Sets and the Match 3, 4 and 7. Nevertheless a great effort by Stuart. The 2nd Semi contest saw 2 of the Premier’s top players, Paul Whatton and Sam Hume. A tricky one to call but on this occasion Sam was flying and won in straight Sets 6, 5 and 4. However the scores didn’t reflect some of the fine shots that both players produced. It was difficult for Paul in that Sam had played the earlier Under 21s Semi and Paul arrived after a long journey from Mayfair and had to go straight on; but he made no complaints and was a very sporting loser. 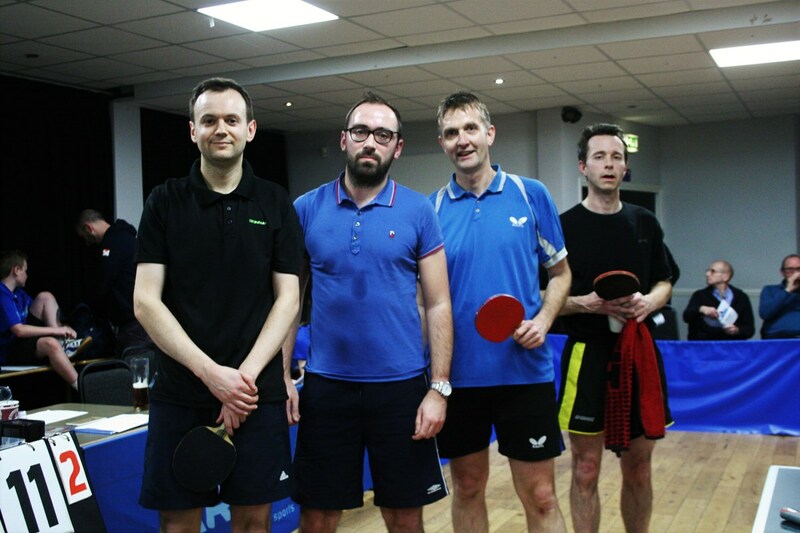 The Men’s Doubles Final was between Tony Halling & Charles Sweeny and Duncan Taylor & Kevin Read. This was the closest match of the night with the Pairings level at 11 all in the 5th Set, before Tony and Charles edged home 11-8, 11-9, 9-11, 5-11, 13-11. There were many good rallies; an exciting match to watch. 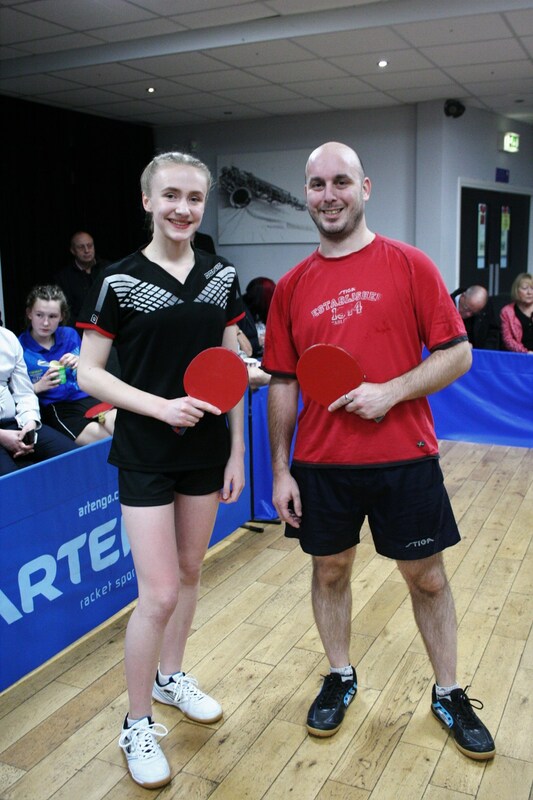 After the Interval, the first Final on was the Mixed Doubles Final between the very experienced pairing of Jan Fuller and Chris Jacob against Essex Number 2 Matt Spero and up and coming Junior Alice Cole. On paper it looked that the odds favoured Jan & Chris, but Alice played an excellent game, making very few mistakes and needless to say, Matt played his usual high level attacking game. Alice and Matt winning in 4 Sets, 11-9, 11-7, 9-11, 11-7. Next followed the Under 21s Final between Sam Hume and Liam Squirrell. Sam was clearly the favourite, but Liam has had a stormer of a weekend and we wondered would he produce a surprise here. But Sam was also in fine form and after a tight first set which Sam won 15-13, followed by a strong 2nd Set from Liam which he won 11-4, Sam raised his game to take the next 2 Sets 3 & 6. Nevertheless Liam has made massive strides this Season and will no doubt improve much over the next few Seasons. The penultimate match was anyone’s guess, the Ladies Singles Final between leading Lady Players Linda Roff and Jan Fuller. Both players have won many Titles during their illustrious Table Tennis careers. Jan won the first Set 11-8 and Lin levelled at 13-11. Had Jan held on to take this Set things may have been different, but Lin now took control to win the next 2 Sets 9 and 8 and complete anther successful Championships. Well done both players. The final match, the Men’s Singles Final, was one that we had all been looking forward too, could our fast improving Essex Under 18 Number 1 Junior, Sam Hume beat our current Essex No 1 Senior Tony Halling. On this occasion, Tony produced a virtually faultless performance to win in straight Sets 6, 7 and 5. We all know that there will continue to be much improvement in Sam's game in the years ahead. Despite the scores, Sam still produced some great shots. But Tony is one of the strongest Champions Southend has seen for some time: being in Company with such top England National Ranked Players Stuart Gibbs, Andrew Bawden, Mike Watts, Steve Tillson, Cris Sladden, Ryan Savill and Kevin Caldon: without going back more than 30 years: all of them former Southend Men’s Singles Final Winners. In the Open Over 60s John Poysden fought back from two sets to one down against his British League team mate Glenn Johnson to win in five sets 11-7, 4-11, 8-11, 11-7, 11-7. In Open Vets Doubles, favourites Duncan Taylor & Kevin Read had a three sets to one win over John Poysden & Paul Sayer, 11-6, 9-11, 13-11, 11-8. Bill Smith ran a very entertaining Over 70s Singles. There were seven participants playing a Round Robin followed by a Semi-Final and Final, with Peter Pond beating John Lott in the Final by the narrowest of Margins 14-12, 12-10, 8-11, 4-11, 15-13. 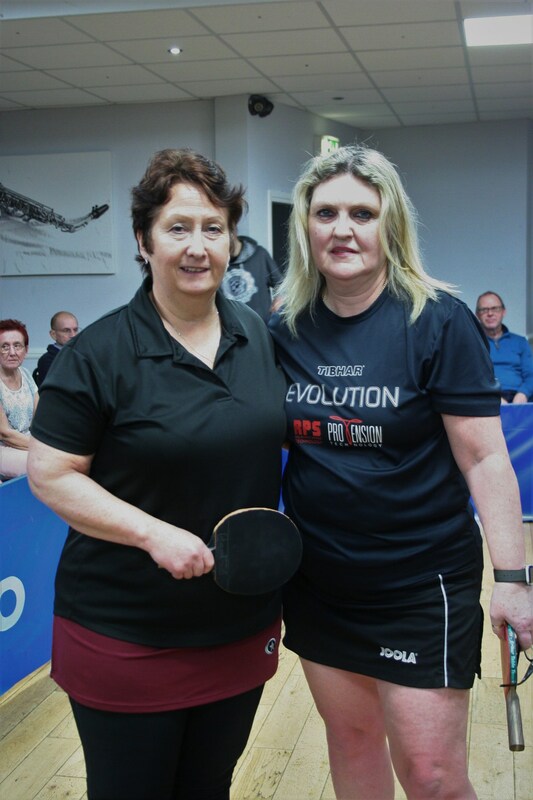 Our Ladies Vets Singles finalists saw Linda Roff beat Jan Fuller 8-11, 12-10, 11-6, 11-3. Restricted Singles Events where held for each Division. 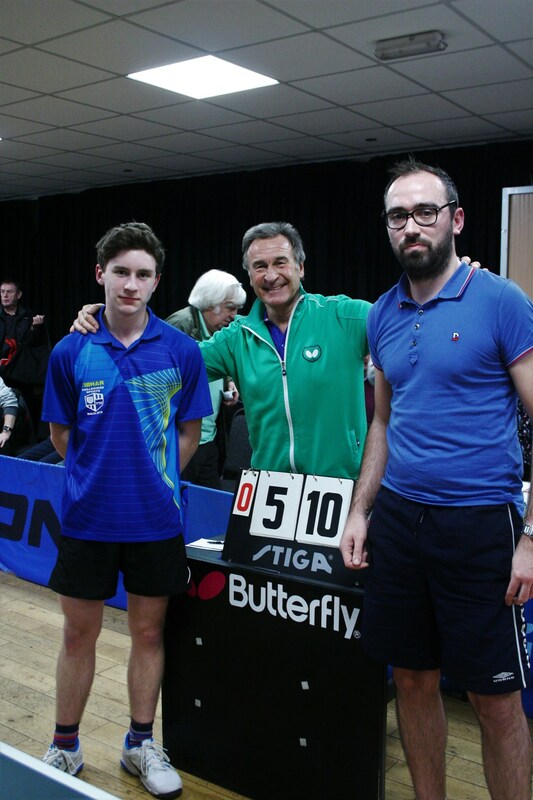 Starting with the Premier Division which produced the surprise of the day when unseeded Liam Squirrell played magnificently throughout to beat Glenn Johnson in the Final, 11-7, 11-6, 12-10, having had an excellent win over the No. 2 Seed Reece Seddon in the Group Stages, No 4 Seed Eric Green in the Quarters and No 1 Seed Charles Sweeny in the Semis: massive improvement: a testament to his Coach Kieran Skeggs. The Final Events were the Plate Events for players finishing third in their groups or losing their first round matches. 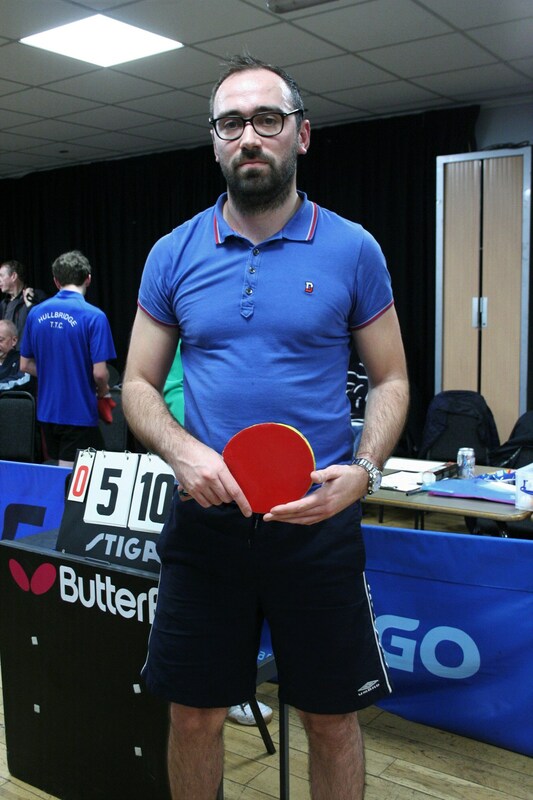 · Vets Singles Plate at the Hullbridge SA Satwant Gill beat Paul Strutt 8-11, 12-10, 11-4. · The Finals Night was one of the best Finals Nights for many years with a run of highly contested matches played in the highest level of sportsmanship. · This year, all Events finished within the time allotted period. 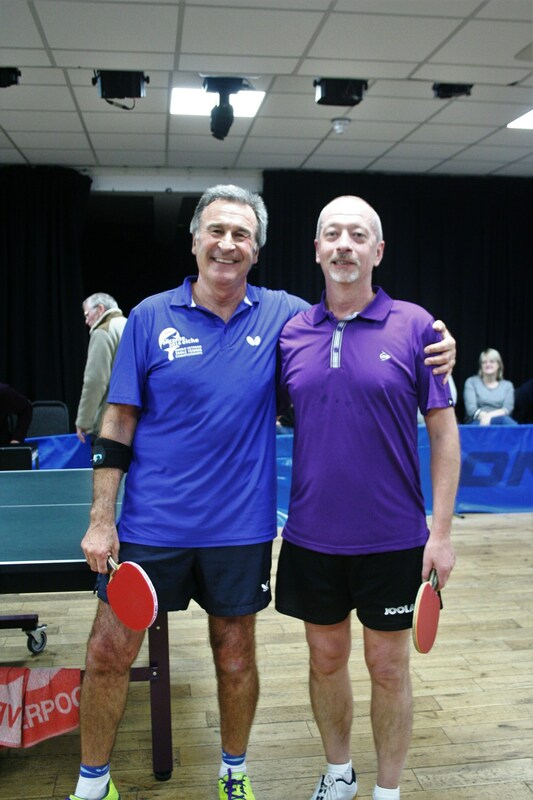 · The VETs Doubles was re-introduced and played on the Friday which worked well. · The VETs Singles was played to Semi-Finals over two Venues with the Finals being played on Finals Night. · This year’s saw Technology introduced to the Championships - having a PC and Printer on site allowed us to make necessary changes on the day because of injuries and sickness, as we went along. · The O60s was played to Final on Friday. 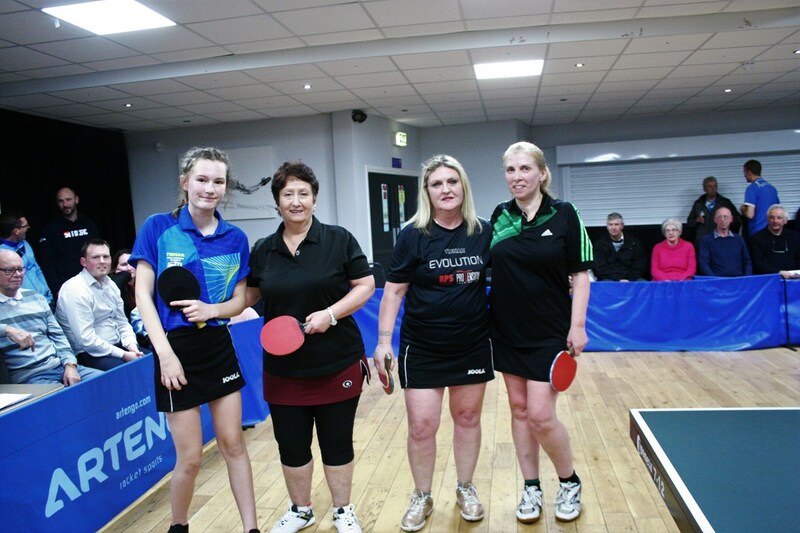 · Two Plate Events were introduced for the VETs Singles. · The Restricted Events ran to plan on the Saturday and the Main Events ran equally well on Sunday; so all in all, everything ran to plan: it doesn’t always, but it did this year. Many Members played a part in this. · Anthon Ranjit-Singh, who helped plan the Championships and was always on hand to help and run the Vets Singles @ the Hullbridge Sports Association. · John Poysden, Anthon Ranjit-Singh, Paul Brown, Linda Roff, Stuart Gibbs, Howard Grant, Andy Nunn, Dave Calleja and Chris Jacob who helped with the Umpiring and the 2 Scoring Machines. · Howard Grant & Stuart Gibbs for setting up the Hall and those who helped tidy up at the end of the evening. · Bill Smith, who ran the Over 70s at the Hullbridge S A on Wednesday. · Our Junior Clubs Hockley, Hullbridge and Rawreth Juniors for all their work in bringing new youngsters to our Sport and their work with our local Schools. Plus their Organisers, Coaches & Parents. 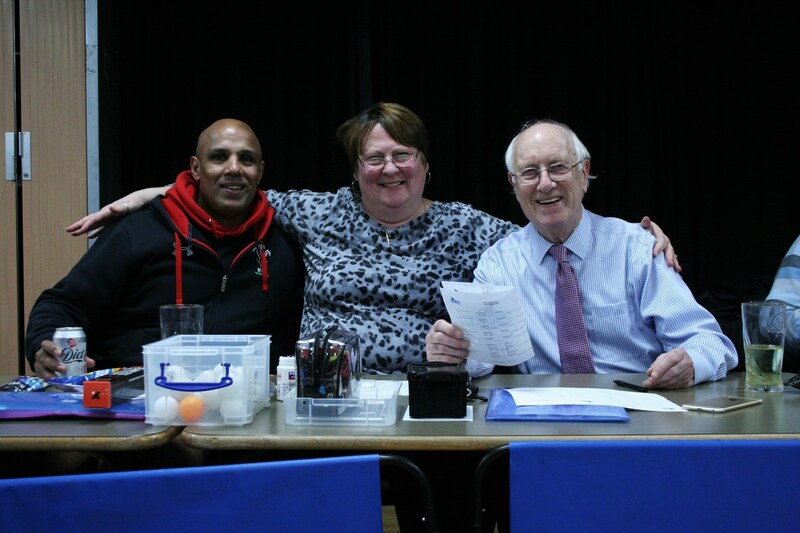 · Chris Jacob, our Treasurer, supported by Hilary Skeggs for collecting in the money during the Championships. · The Teams at The Hullbridge Sports Association, Rayleigh Leisure Centre and the MegaCentre, for helping us run these Championships; special mention for Cari for running the Bar single handed at the Hullbridge S A on Finals Night. · John Denison and Tom Cutler of Topspin for supplying the Tables, Nets, Score Machines, Tables and running a Shop on Sunday, coupled with a surprise visit from the Essex Star Clive Carthy. · Thanks to the Seeding’s and Eligibility Committee: John Poysden, Charles Sweeny, Duncan Taylor, George Reeves, Charles Sweeny, Kevin Read and Chris Jacob. · No doubt we have missed out some, so our thanks to all who played a part in making these Championships so enjoyable. 2018 SDTTL Closed Championships' Organisers.